We are a family owned fence contractor offering a wide array of residential and commercial fencing options to homeowners and businesses in Minneapolis, St. Paul and the great Twin Cities areas since 1986. Our experienced installers use state of the art equipment and superior quality craftsmanship for precision installation and unsurpassed value. We are a full service fence builder and we handle permits, utility marking, excavation and surveys for your fence installation. From initial design consultation right through the on-time completion of your minimally invasive installation, your complete satisfaction is what we focus on. 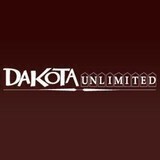 At Dakota Unlimited we take great pride in continuing our third generation of a family owned business. It is important to us to build strong relationships. After all it is the same way we build our fences - to last. Artistic Ornamental Iron is your custom iron works for anything that can be hand crafted from steel. With over 20 years of experience, we have turned our wrought iron dream into a reality for the third generation running. We are family owned and operated, and seriously dedicated to our customers. As a family team, Keith and Chelsey Rains are focused on providing quality wrought iron products that are all handmade and completely personal to each customer. We provide several products from wrought iron gates and fence, to railings, spiral staircases, and much more, creating exterior, as well as interior products. We can design your project for you, or build them from your own ideas. 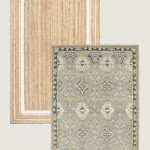 All of our products get the highest quality finish available. Everything is fully welded, and later a fine grind of all welds and surfaces for a smooth finish of bare metal. First the product is acid washed to remove any debris or oil, then dried fully followed by one coat of galvanized compound zinc for rust protection, which is then finished with three coats of paint. The product is baked in an oven creating a beautifully smooth, durable powder coat finish! Artistic Ornamental Iron is a family business. We have over 20 years experience in fabrication of wrought iron products. 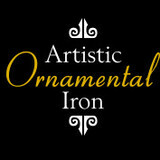 Working with wrought iron is a trade that has been passed down in our family — it is our passion. Why spend many thousands of dollars on a cedar privacy fence only to achieve a fence that looks like ten other fences on your block? Bamboo is a beautiful, durable and economical alternative to cedar fencing. The bamboo we typically use is about 1" in diameter and can easily withstand anything a 12-year-old could dish out with a baseball bat. We’re a company built around family values and trust. Installing a fence and installing a beautiful, quality fence are two different things.. Beautiful, professional installations are exactly what we strive for. We offer free estimates and immediate service. You deserve to be taken care of and treated with honesty, and we stand by our product and installation quality. Boulevard Fence, Inc. is a family owned fencing company, located in Blaine, Minnesota, serving the Twin Cities Minneapolis and St. Paul metro areas. Boulevard Fence, Inc. is a company of professionals specializing in the installation and repair of virtually any fence material! 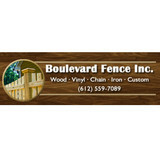 Boulevard Fence, Inc. offers competitive and fair pricing. Contact us today and begin a consultation about your fencing needs. Wade has been working in the fence industry for about 15 years. He also like to spend his time woodworking on the side. He can install all types of fences from chainlink, vinyl, wood, and ornamental. We do custom gates and decks. If you need anything with wood let him know! Wade's amazing attention to detail and treats every project as if it is his own. His goal is your satisfaction! Call us today for all your fencing needs! Blackbear Fence is a professional, full service fence company based in Minneapolis, and we service the surrounding suburbs. 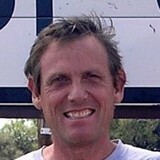 Jesse Thurik established Blackbear Fence in 2008, and have more than a decade of experience in the industry. We’re a small family owned company that has the capability to provide the Best Quality and at some of the Best Prices in the industry! We construct every fence with the finest material, material that is both durable and aesthetically pleasing: cedar, ornamental iron, chain link, vinyl coated chain link and PVC fencing. Each installation is performed by our courteous, professional craftsmen, ensuring that your fence will be a lasting thing of beauty. 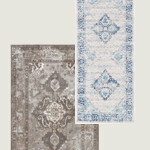 We’re so confident in the quality of our product that we offer a 5-year craftsmanship warranty. As designers and craftsman, Blackbear Fence builds fences for every creative need – residential, agricultural, industrial and commercial projects, even small fence repair. So no matter what size of job you have, remember: Blackbear Fence is your design and installation specialists! At Quality Fence & Repair, we believe good fences make great neighbors. We offer quality installation and materials at competitive rates! Our goal at Quality Fence & Repair is to ensure the satisfaction of our customers, no matter the size of the job. Quality Fence & Repair has a proven record of excellence in designing and managing several fence projects in several locations throughout Minnesota. We offer a wide variety of fence styles to homeowners, using only the highest quality materials. The experienced professionals at Quality Fence & Repair will plan, design, and construct your project which will exceed your expectations. Whether you know exactly what you want, or need help designing your project, the professionals at Quality Fence & Repair will help you design your fence. Arrow Fence Company has been working in the fencing business in Minnesota since 1964. We are a second generation family owned company and we take pride in serving our valued Minnesota customers with high quality service and products. And to stand by that promise to continually offer the best service and products we can, all the fences that we install come with a 5 year warranty. 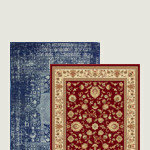 We have fair and affordable prices and always treat our customers with the utmost respect. No matter what type of fence you want for your Minnesota property, we will install it and make sure that it will last for years. So if you are looking for a professional fence company, one who will treat you right, contact Arrow Fence Company today. 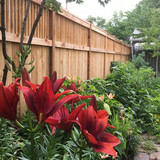 Twin Cities Fence is a Minnesota based fencing contractor, located in Blaine, Minnesota serving the Twin Cities, Minneapolis and St. Paul metro areas. If your fence is not in need of service, our experienced team offers beautiful fence installations with extended warranties. Premier Fence...your all around fence company! Premier serves the entire midwest area and is conveniently located in St. Paul, Minnesota in close proximity to Minneapolis and the surrounding suburbs. With over 30 years experience in the fence industry - we are your number one choice for fencing. Our fences are designed and crafted to compliment the charm and dignity of your home, or strengthen, protect and enhance your commercial project. 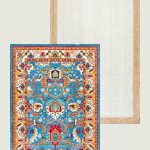 After all, the outside of your home or property is a reflection of your own personal style and taste. Premier's attention to detail begins with a highly selective choice of fencing materials, chosen for performance that goes beyond standard specifications. Premier Fence is a full service fence company offering professional installation and do-it-yourself fence products for over thirty years. If you're looking for privacy, security, pool fencing, a picket fence, or simply to enhance the appearance of your home or business exterior, Premier Fence offers a variety of fencing options. Products include wood fencing, aluminum and ornamental iron, maintenance free vinyl fence, composite fence, and aluminum deck railing. Fencing contractors be sure to visit our showroom where you will find a complete selection of in stock materials available for immediate pick up. Our dedication to serving our customers with the highest quality materials, workmanship and installation has earned us recognition by the finest builders, designers and architects nationwide. Whether you want your fence professionally installed or do-it-yourself materials -- insist on Premier products! Your Plymouth, MN fence installation and repair professional will work with you to create your ideal fence. Fence installation or replacement. If you are in the market for a brand new fence, a contractor’s services will include walking you through various fence styles and materials, determining a suitable height, ensuring that all fence designs and plans are compliant with Minnesota building codes, and that the fencing meets both your stylistic and security needs as the homeowner. Fences and gates must complement the grade of your property as well as the type of soil you have, so the contractor should always plan around these considerations. Additionally, if you don’t know exactly where your property lines are, he or she can commission a survey for you. Find a fence contractor in Plymouth, MN on Houzz. Narrow your search in the Professionals section of the website to Plymouth, MN fence contractors. You can also look through Plymouth, MN photos to find examples of fencing and gates that you like, then contact the professional who worked on them.